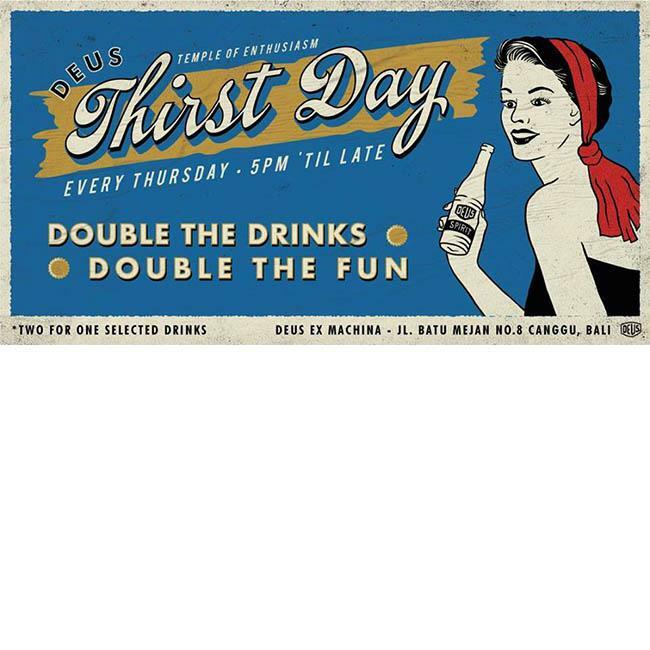 We've now got your thirst covered Thursday's. Canggu's longest happy hour runs from 5pm until we close. Two for One*, you know what that means? Double the drinks, double the fun, all night long. We're mixing it with some special sauce from our resident DJ's and serving the whole thing on a platter with good times. Late night snackers, you won't lose, we serve pizzas until close. Reservations for dining are recommended 0811 388 150.